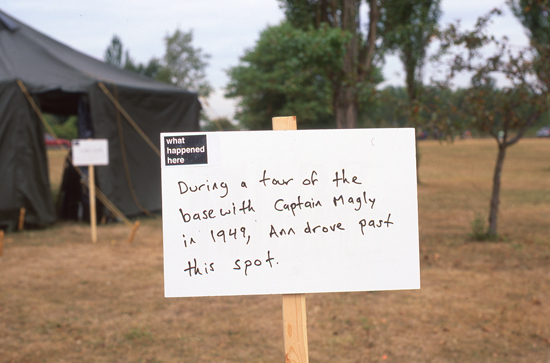 During what happened here: a Sand Point expedition I installed a photography and prose exhibit inside a military tent at Magnuson Park in Seattle, Washington and gave weekend presentations to the public. The project attempted to reconstruct a picture of life at that setting going back to the last Ice Age. Performance. Installation, Story Sign, History (30 sec. video), Tent exterior.